Xcitex sells its products through a worldwide network of trained dealers. We encourage you to contact a local dealer for retail prices, special offers and local currencies. To locate a dealer near you, please visit the locate a dealer page. If you prefer to order directly from Xcitex, please select your products from the list below and call 1-617-225-0080 or email sales@xcitex.com to place your order. Prices shown are for individual licenses, unless otherwise noted. Xcitex accepts American Express, Visa, and MasterCard as forms of payment. Purchase orders accepted for orders over USD $1500. Indicates network licensing also available -- please contact Xcitex for details. 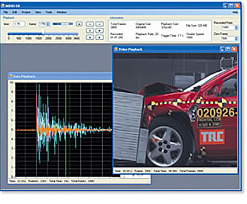 Extract, analyze, and report motion from video. 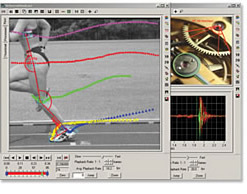 Available in various editions for 2-D and 3-D motion analysis.